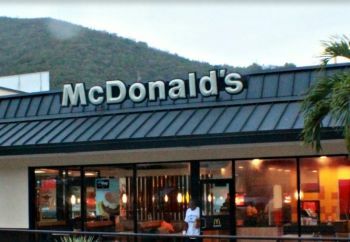 CHARLOTTE AMALIE, St Thomas, USVI— Hanselo Recio, 18, and Junior Feliz, 22, both of the Dominican Republic, pleaded guilty on June 6, 2017 in District Court on St Thomas, US Virgin Islands (USVI) for their roles in the robbery of a McDonald’s restaurant in St Thomas, Acting United States Attorney Joycelyn Hewlett announced. Recio pleaded guilty to conspiracy to commit Hobbs Act robbery and discharge of a firearm during a crime of violence, and Feliz pleaded guilty to conspiracy to commit Hobbs Act robbery. Both defendants were remanded into the custody of the US Marshal pending sentencing on October 5, 2017. 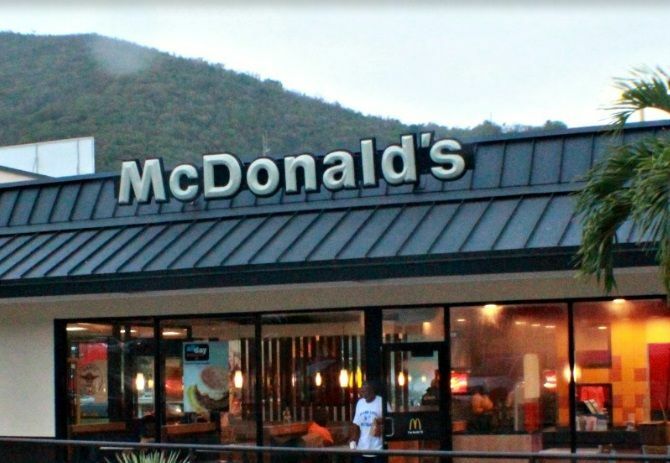 According to plea agreements filed with the court, on March 25, 2017 members of the Virgin Islands Police Department responded to reports of a robbery at the McDonald’s restaurant in the Lockhart Shopping Center. After an exchange of gunfire, Recio, who was armed and inside the McDonald’s restaurant, surrendered and was taken into custody. Feliz was the driver of the getaway car. Three other men also are charged in District Court in the robbery. Recio faces up to 20 years in prison for conspiracy to commit Hobbs Act robbery and a mandatory 10-year consecutive sentence for discharge of a firearm during a federal crime of violence. Feliz faces up to 20 years in prison for conspiracy to commit Hobbs Act robbery. The case was investigated by the Federal Bureau of Investigations, Bureau of Alcohol, Tobacco and Firearms and the VIPD. It is being prosecuted by Assistant US Attorney Sigrid M. Tejo-Sprotte. Crime does not always pay!